Gnucap-uf is a gnucap fork targeted at research and experiments. Tarballs and plugins are here. See here for instructions on how to build debian binary packages. The gnucap-adms package provides an admsXml based model compiler for devices written in verilog-a. It covers a (growing) subset of verilog-a. To get a loadable module from verilog-a, (install gnucap-adms and) type gnucap-adms -c device.va. Sometimes it is more convenient to embed models into netlists. See the following example. Dynamic dc (ddc) analysis analyzes the dynamics of consistent operating points. For example, consider a simple schmitt trigger circuit and its operating points parameterized by input voltage and capacitor charge. 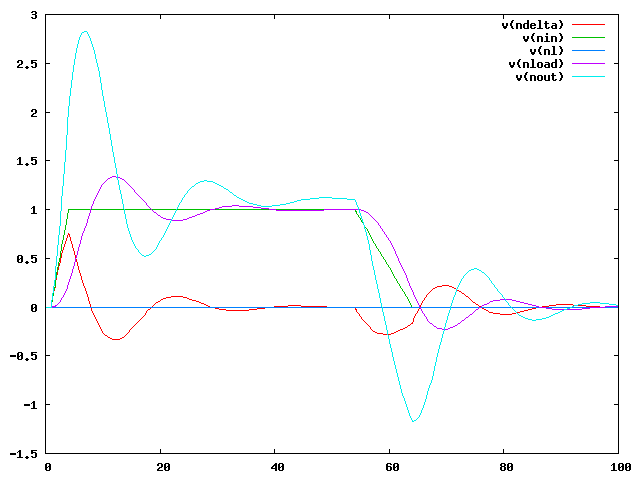 ddc analysis computes the time derivatives of the node voltages (dv) at a consistent operating point close to the specified initial conditions. The output file trigger.dat contains the vector flow on the state space. The operating points are the zeroes of the vector field. 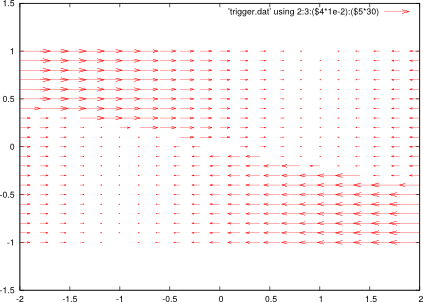 The two connected components of the two contractive zeroes are clearly visible in the plot. These are the stable states of the circuit. Our verification tool vera uses gnucap as a simulator backend. It is available as a binary executable (here) ready to use. Consider two similar lowpass filters. With the following control file, vera performs an equivalence check. The equivalence check yields a measure for the difference of these filters. 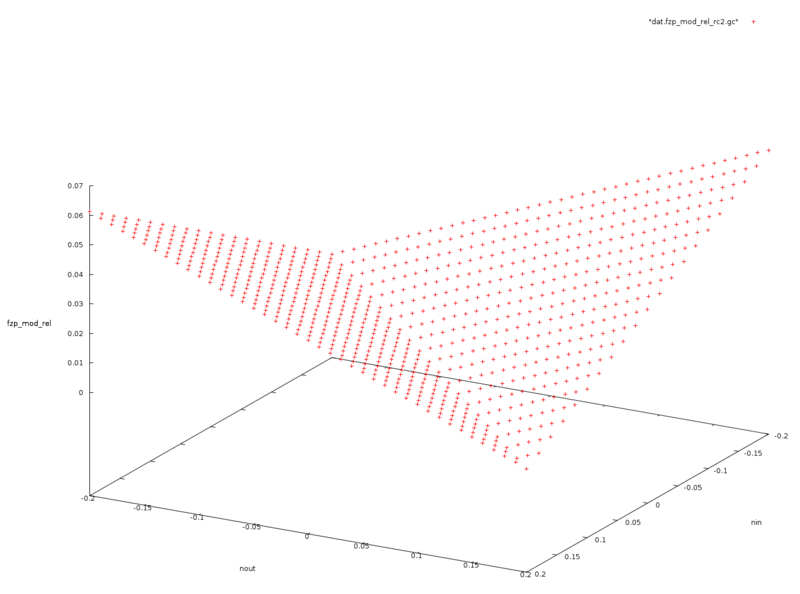 For example, we may plot the difference in dynamic behaviour as a function over the state space.